Home › Feel & Look Your Best › Trying to get rid of unsightly cellulite? Dave suggests a glass of water! Cellulite, just the mention of if makes people cringe! You can be thin and fit, and still have those little fat dimples. But did you know that simply drinking more water can minimize if not eliminate the dimples? Yes, it’s true! Dave suggests a glass of water to reduce cellulite! Cellulite protein builds up in the lipid layer between the skin and muscle when a person is dehydrated or has not had enough water. 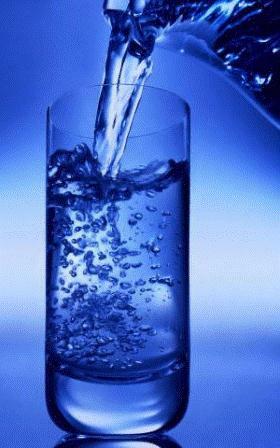 Without the water, your body and its lymphatic system can’t flush out those proteins, the buildup creates the dimples. In addition, water makes the skin thicker. This is why you don’t see much cellulite on men, they have thicker skin (not necessarily emotionally) — especially on thighs, hips and derrière! So, now you have one more reason to enjoy that glass of water after your therapeutic massage – for thirst, hydration, your health, and to diminish any cellulite dimples!